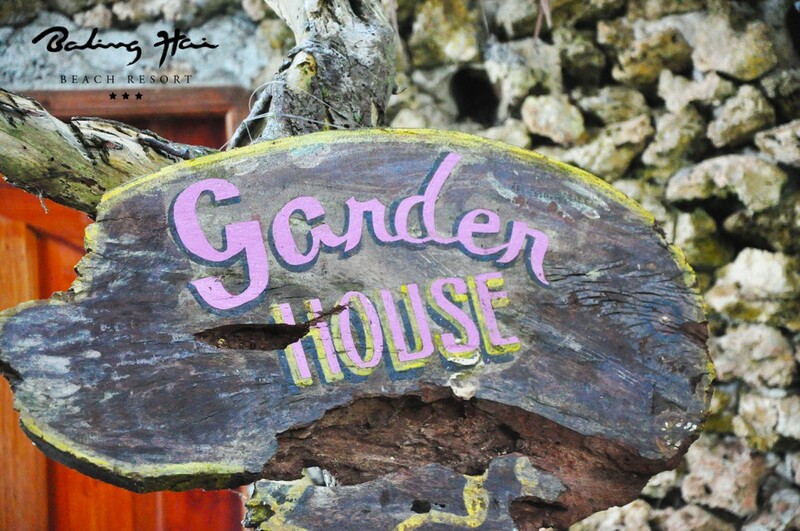 The garden house is the biggest and most equipped among the villas. 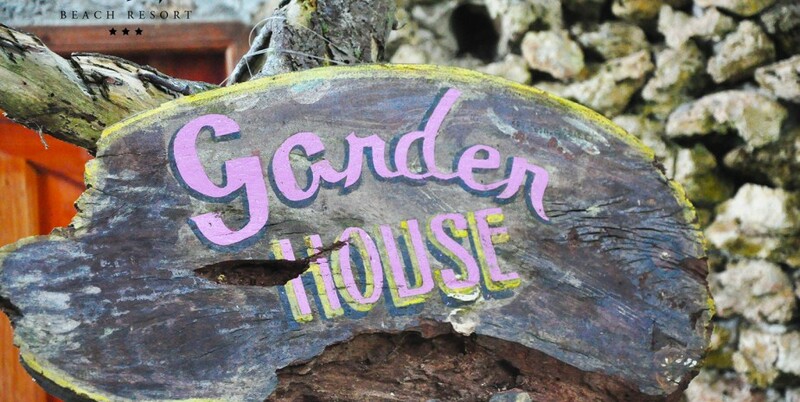 Entering the garden house is like unlocking a secret garden. Upon opening a door laid upon white rock walls, a beautiful open garden will come into surprise. 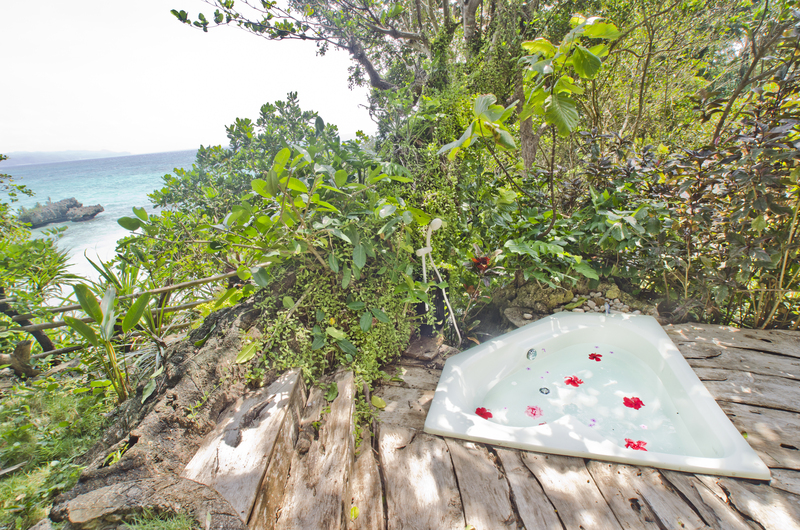 This garden is strategically landscaped on the edge of the cliff overlooking the ocean below. The view from the garden house offers a unique intimacy with the beach where the sound of the ocean waves will become music to the ears. The garden comes with a trail leading to the majestic air-conditioned house. The garden house has two queen sized beds. 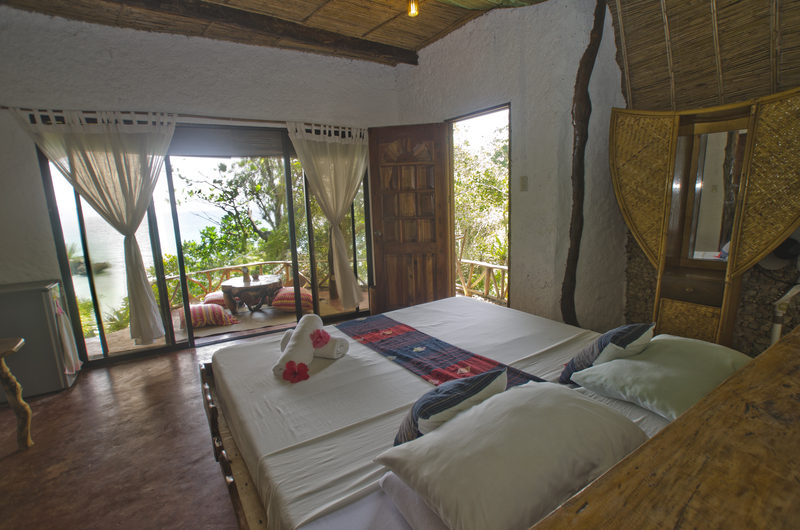 Bedroom features include writing desk, mini compartment, refrigerator, telephone, electric fan, in-room safe, plus wooden table and chairs in the garden terrace. 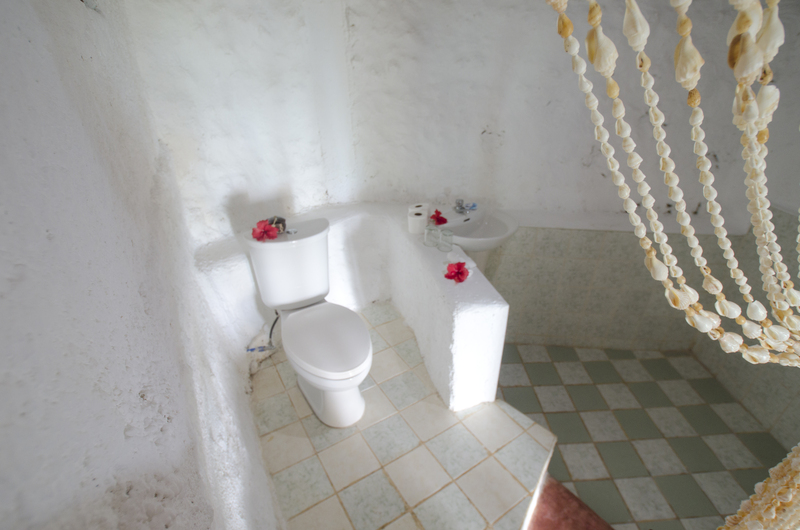 The garden house also consists of a spacious bathroom (with hot and cold shower) plus a jacuzzi. 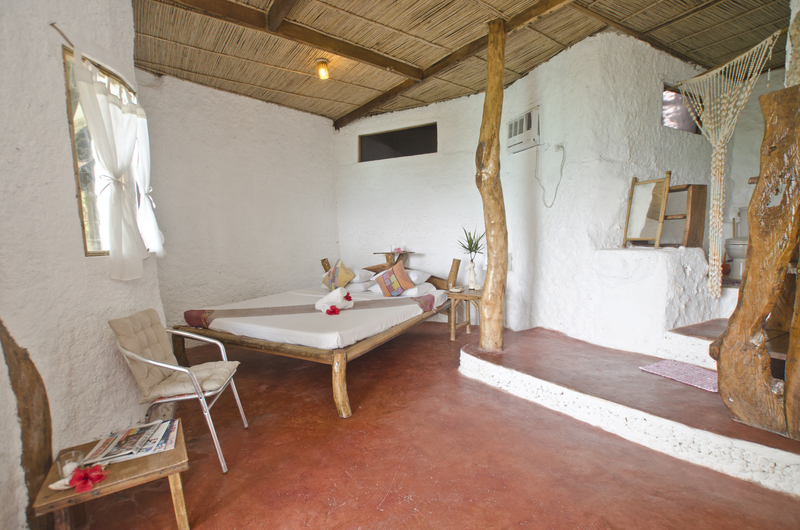 Meanwhile, downstairs is a wide veranda with equally comfortable bed-sized benches and a kitchen. 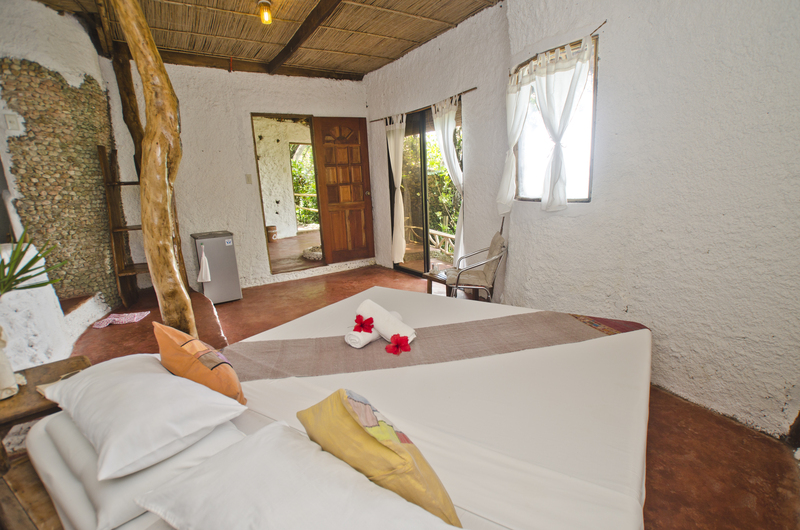 The garden house is good for four to five guests.